Did Yandy and Bianca manage to fix their relationship? 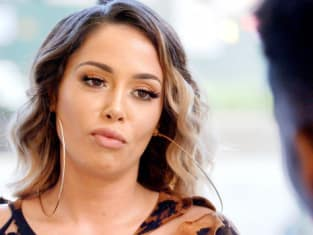 That was the big question on Love & Hip Hop Season 8 Episode 6 when their professional relationship was also put on the line. Meanwhile, Remy Ma invited Lil Mo to her store opening, but a blast from the past showed up intent on causing some trouble. Also, Rich debated whether telling Navarro about his relationship with Anais would be a good idea. Use the video above to watch Love & Hip online right here via TV Fanatic. Get up to speed with the latest drama now.